Liverpool star Trent Alexander-Arnold has named the toughest opponent he has faced in his career to date and his admission will certainly surprise fans. Alexander-Arnold has been on a meteoric rise since making his first team debut for the Reds in December of 2016. 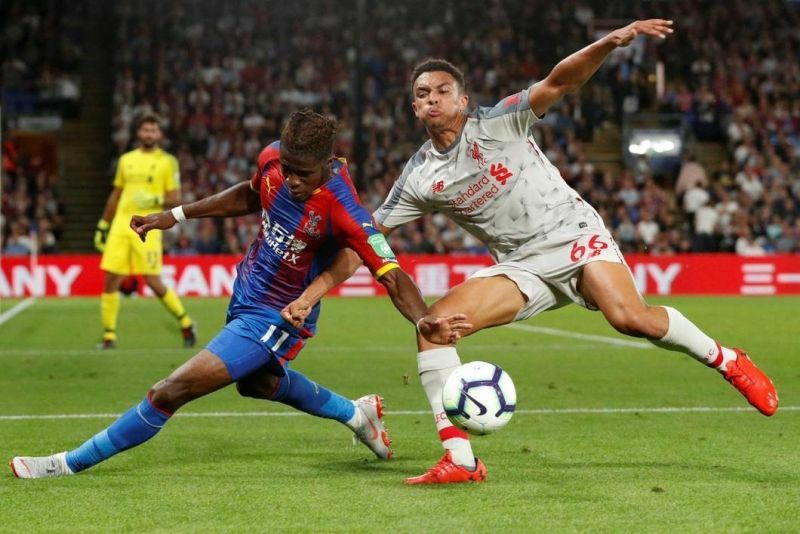 His impressive form since being introduced into Jurgen Klopp’s Liverpool side has seen the youngster play in the Champions League final and also saw Alexander-Arnold play in the World Cup for England this summer. Alexander-Arnold managed to achieve these feats all before his 20th birthday only two weeks ago. Arnold’s rise to the top has pitted the right-back against superstars Neymar and Cristiano Ronaldo but the youngster admitted his toughest opponent to date has been Crystal Palace’s tricky Wilfried Zaha. “Just his athleticism. You can’t get the ball off him, hard to tackle, fast, skilful, can score goals, set them up, a match-winner. Zaha has been in fine form for Palace in recent seasons, outside of the top six Zaha is now considered as one of the Premier League’s standout players. Alexander-Arnold and Zaha battling for the ball earlier this season. “With Neymar and Ronaldo, you can see they are very intelligent players, people who know their trade, different movements, but they never got much of the ball against us. 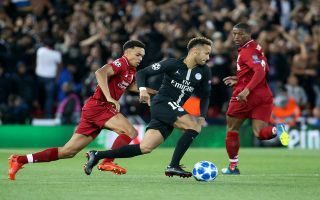 The 20-year-old who has won four senior international caps for England won many plaudits for how he handled Neymar when the Reds faced off against Paris Saint Germain in the opening match of their Champions League campaign this season. Reds fans will be hoping that Alexander-Arnold continues his fine form against some of the world’s best wingers as Jurgen Klopp’s men look to mount a serious challenge for Premier League and Champions League glory. With no mouthwatering matches in the Premier League football fans can rejoice as we have the Milan derby covered. Here is how you can watch the fierce Milan derby live.